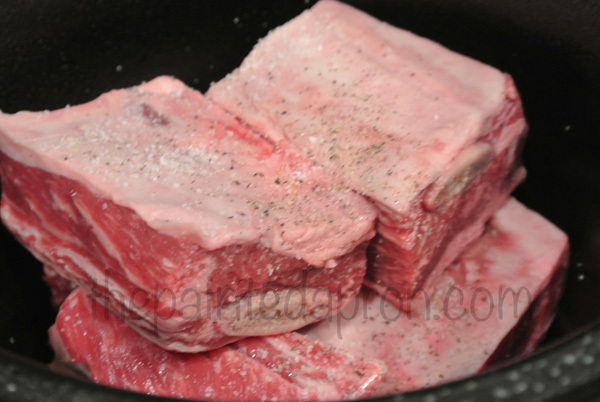 I think you will really enjoy this slow cooker version of short ribs. They are REALLY EASY to make too! 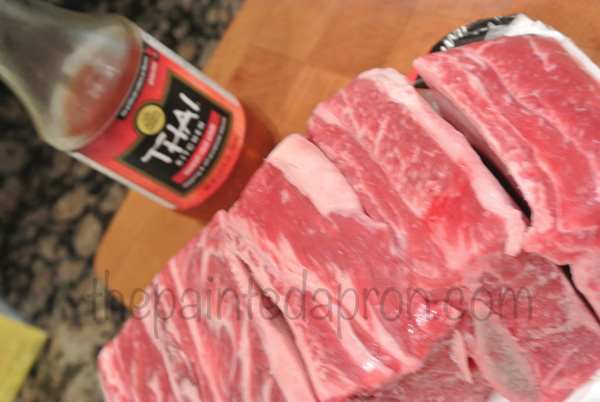 The only way your family will know this is not take-out is by tasting, they are so much better! Can you believe you can serve this up with 3 ingredients, a slow cooker and a little garnishing? and these 2 magic ingredients! 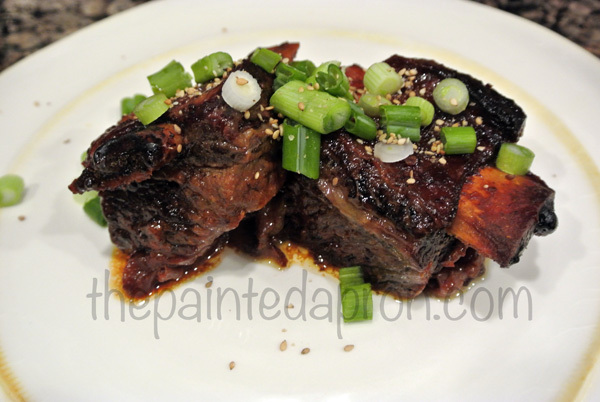 Spray your slow cooker with cooking oil spray and add the short ribs. 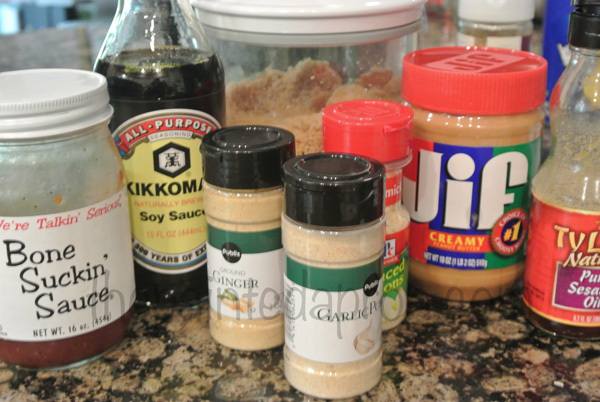 Season with S & P.
Sprinkle with some chopped green onions and sesame seeds and take a bow. Once again you are a rock star! 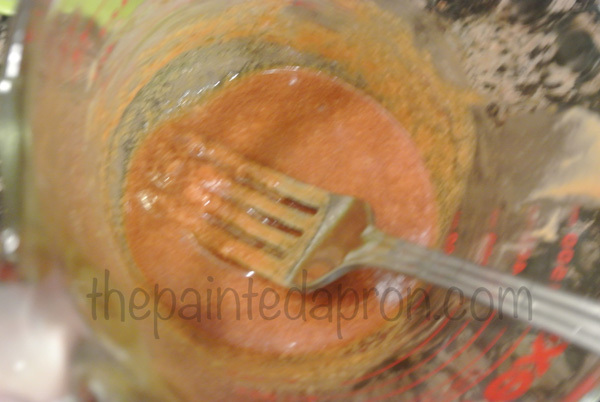 Serve over rice or noodles, spooning additional sauce over all. 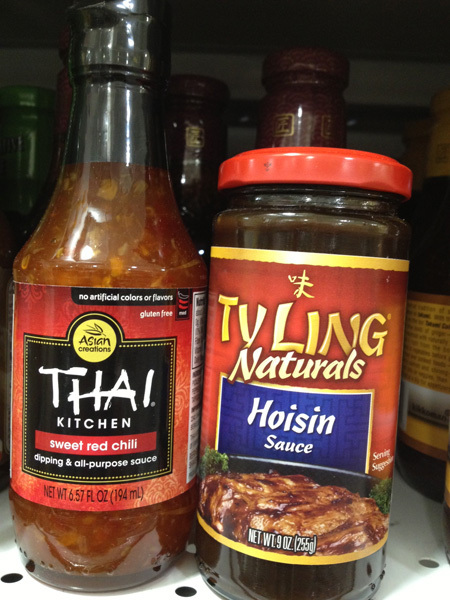 When I made this last time I had the sweet chili sauce but no hoison and wanted to get this going so…I made some! Thanks so much for your visit today, I hope I’ve made your life a little easier and tastier! ← Home decor, Fast & Cheap! 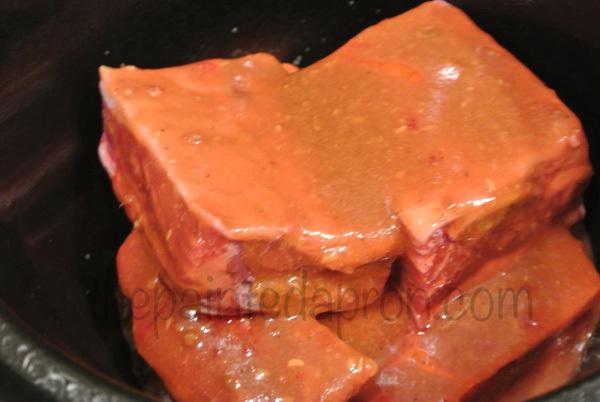 I love anything I can put in the slow cooker after working 10 hours a day…they look divine! 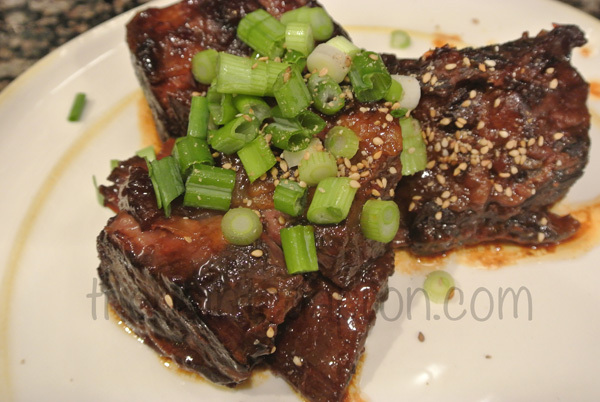 LOVE my slow cooker and love the homemade version of hoisin sauce! then i propose him/her to pay a visit this weblog, Keep up the good work. Pinning this one right now!